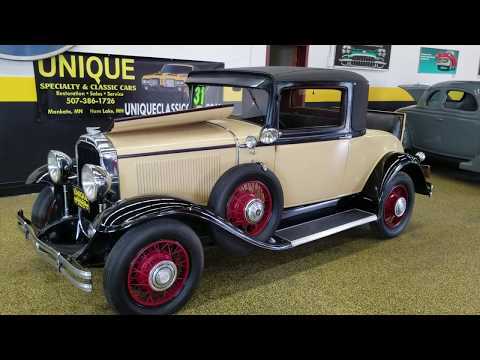 1931 Buick 56 S Rumbleseat Coupe, LONG term ownership! This stunning 1931 Buick 56 S Coupe with rumble seat is the first year the Buick came with the straight 8! Single family car for decades, the motor was completely rebuilt approx. 5 years ago. Very original car, one repaint in its life. All steel and has the access panel on the passenger side. Dual side mount car, interior still has the original upholstery on seat and rear curtain.